Below please find an overview of recent projects I have done, by either translating stuff or managing projects. We had worked with Lazy Bear Games before on their previous title Punch Blub, and apparently they liked the result so much, that they came back for more! Unfortunately, circumstances during this project were not ideal: we had to work from an English text that was still being written (sometimes by non-native speakers), there was no budget for playtesting and to make matters worse: someone somewhere (not us!) made a mistake while copying and pasting our translations, so that half of them ended up at completely the wrong places in game. Of course all the users see is the translation itself, so we took the blame for everything, and the first reviews were disastrous. As we absolutely wanted this game to be a success (and because we were held responsible as our name was in the credits! ), we consulted the developer to save what could be saved. We were allowed to open up our own forums on Steam to communicate directly with the players. Especially in the Chinese translation, the damage was enormous. But within a week, we were able to repair the worst parts and as the game was a huge success anyway, there was now enough budget for twenty hours of playtesting per language (we translated this game to Japanese, Chinese and Korean). 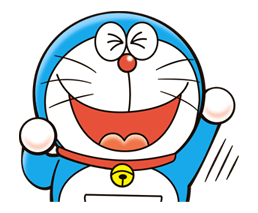 Because of all the efforts we had put in on the user forums, the developer (an incredibly nice guy) decided to pay even more than we charged, and after several more iterations, all the damage had been repaired so that the translations could shine in their original glory. The screenshots on the left are proof of that. Marek Ziemak, former producer of The Witcher I-III, came back for more and asked us to localize 11 Bit Studios' newest baby to Japanese, Chinese and Korean. We gladly complied, and it seems the users liked the result. This too was a game with several font engine issues outside our influence, and there was no budget for LQA. Still, very few errors have been found yet and the reviews are raving. 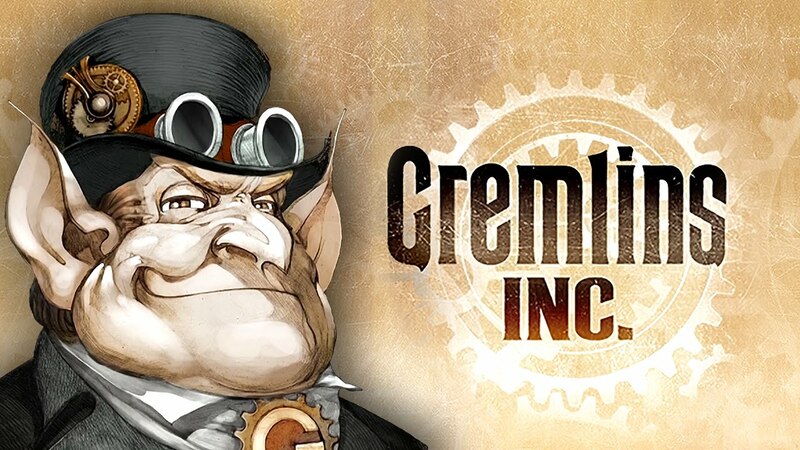 Charlie Oscar is the developer behind the hugely succesful title Gremlins Inc., an intense strategy board game in a steampunk world of corrupt capitalist gremlins who compete for money, political power and prestige. The game contains about 25000 words, which can mainly be attributed to card descriptions and game rules. 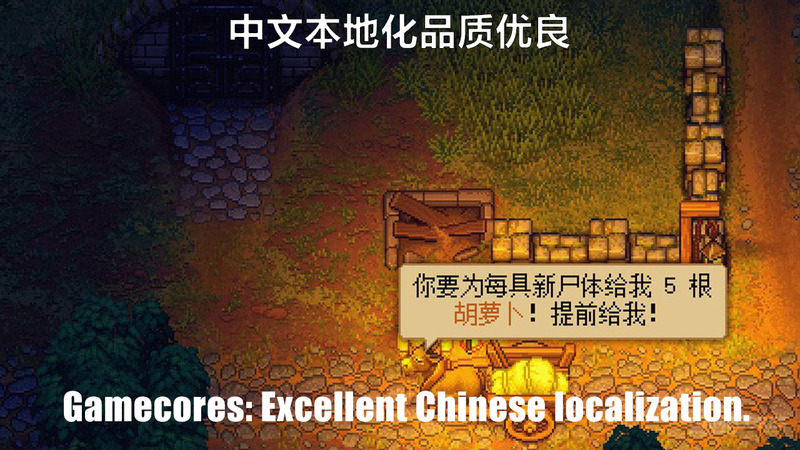 We translated this game to both Japanese and Chinese. Now the text engine of the game has a few issues with displaying Asian languages; these are known issues that our translators can do very little about. The developers hope to solve these issues in a future engine, that will be able to display Asian languages in a better way. That said, even with the current less than perfect display, after localization the Chinese sales and Japanese sales respectively showed an eight-fold and a fourth-fold increase. 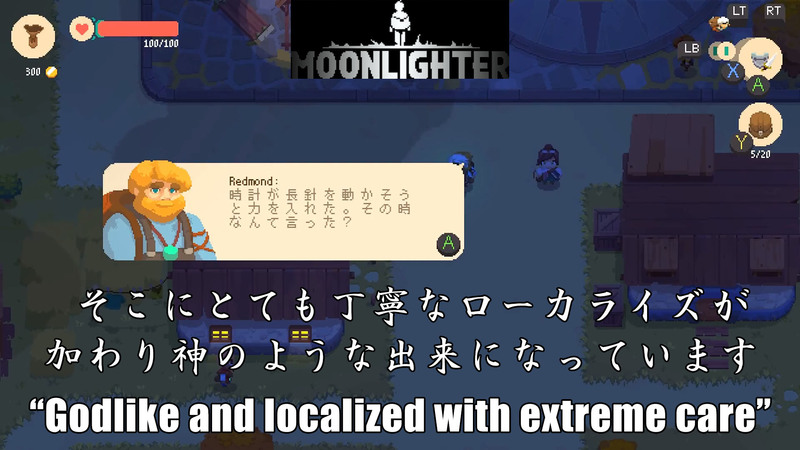 After careful analysis, the developer found that Chinese and Japanese are the most important languages for game localization after English, more important than German or French. Japanese sales alone surpassed the combined sales of Germany and France, and the Chinese and Japanese versions of their game constitute 38% of their total sales. 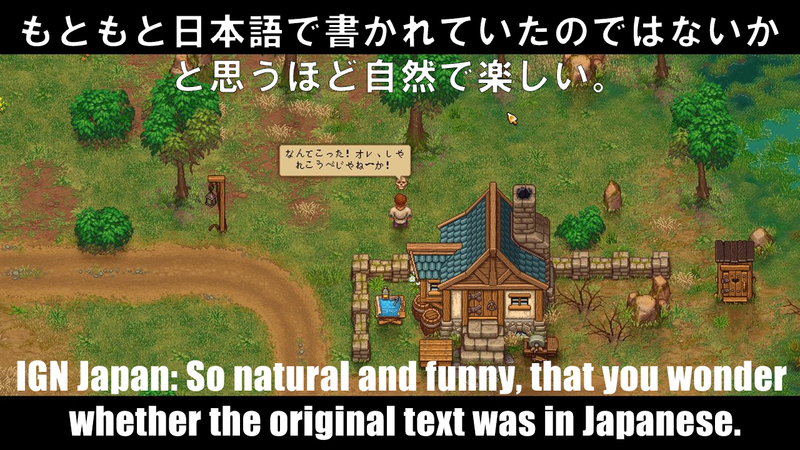 Both the Japanese and Chinese localization were praised highly by the developer, their sales outlets and Japanese and Chinese users. We've been working with SEGA since 2010, and ours has always been a very fruitful relationship. Unfortunately most of their titles needing localization to Dutch are released in co-operation with Nintendo, which does its own localization in Frankfurt, Germany, but there are exceptions, and the best motorsports management simulator in the world is one of them. Meet Motorsports Manager, a title containing hundreds of thousands of words, which has been completely localized to Dutch by yours truly. Periodically new DLC's are released, and these too are translated to Dutch. The project is still ongoing. Bohemia Interactive, maker of Arma 3, the most advanced military simulator in the world, has been an esteemed client of us since 2015. As this game has been around for a while (before 2015), we're dealing with lots of legacy translations, some better than others. Since we still don't have a crystal ball on our desk to guess the exact context of the translations, we cannot guarantee 100% accuracy, but in the vast majority of the cases our translations are spot-on. Here you see an After-Action Report, a video with full context and basically a how-to for playing the mission. The whole thing (including several other videos) was translated and subbed by our Japanese team. This is the result. Working with Marek Ziemak, former producer of The Witcher I-III, was an incredible honor. We're not perfect though: we found one spelling error no player has noticed yet. There's probably more, but this ain't a bad score for 80,000 words and two languages after one week of playing!